We had some not so-great pizza last night. I haven’t had bad pizza in a long time…until last night. Gladstone Pizza has nothing redeeming about it, in my opinion. Michael picked up a pie from Gladstone Pizza. We’d been hearing such good things about it and I wanted to try it a few weeks ago but they were closed. First, Michael ordered it to go and asked for pepperoni and BLACK OLIVES. He told them twice he wanted black olives, NOT Kalamata. So what did we get? 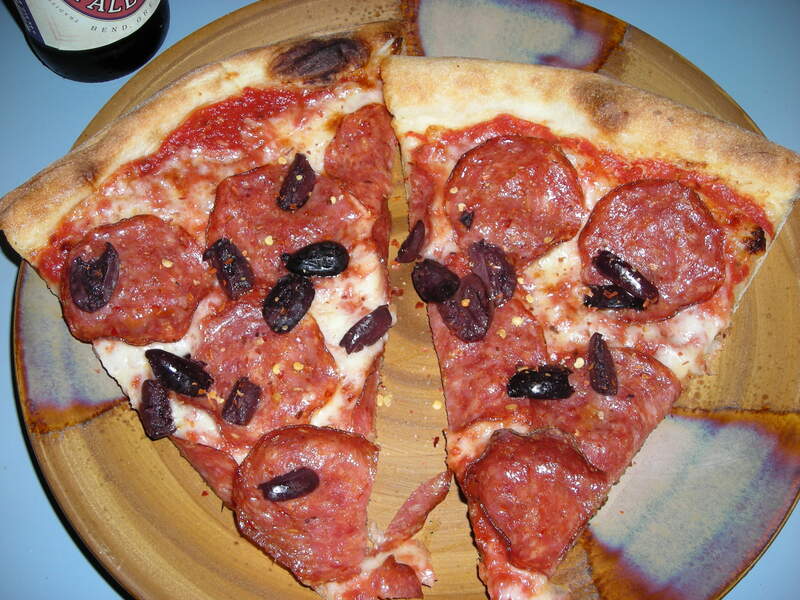 Pepperoni and Kalamata olives. 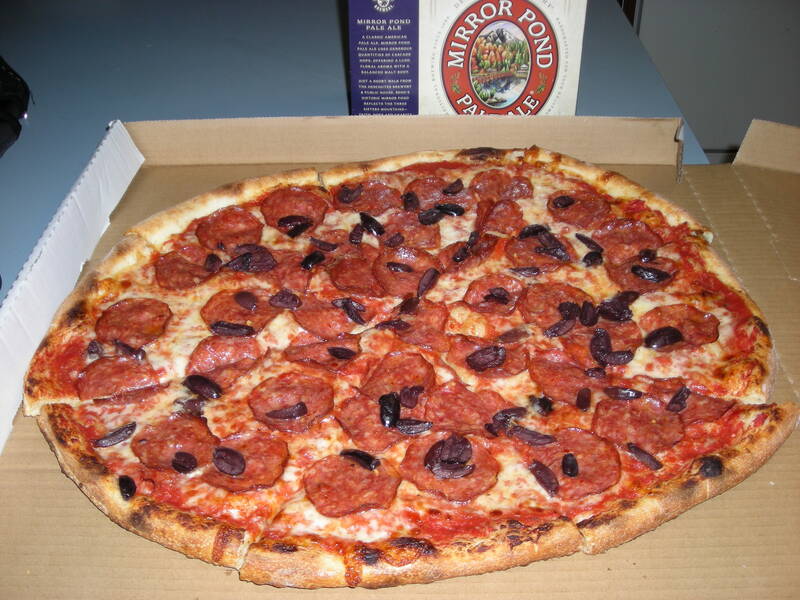 I like Kalamata on Greek pizzas but it’s no a great combo with pepperoni. Second, the sauce tasted like they just opened a can of tomato paste. Some bites I *thought* there was a hint of garlic, but I’m not sure. Third, the crust was plain, flavorless, and way too chewy. The only thing I can think of positively was that the pepperoni was rather spicy and I liked that. But it was also way too chewy. Weird. Seriously, how do you screw up pizza??? I was pretty disappointed. I ate my two pieces and called it good. If we had been eating at the restaurant I probably would have told them it wasn’t great. If the food is awful, I will send it back. If it’s not too terrible, I’ll be passive-aggressive and just write a negative Yelp.com review. Yesterday was a Rest Day and it felt great. It was nice letting my body relax. I felt worlds better! QUESTION: When’s the last time you had really bad food? Did you complain or send it back? Bummer! Pizza is tough to mess up. Might as well have made it at home. I’m not a complainer at restaurants typically. But I will tell them nicely if something is bad. It’s such a bummer when you get food and don’t even enjoy it. Funny, I was thinking the same thing on some “chicken strips & fries” I just picked up for my daughter for lunch here at work………they look good but don’t taste that great! =( I hate wasting $$$ on not so great (or BAD) food….. I would of returned the pizza myself, I have done it many times around here believe me. I am big on getting my $$$ worth out of what I buy. Me too. If I’m spending money at a restaurant, I want GOOD food that I can’t make at home myself. 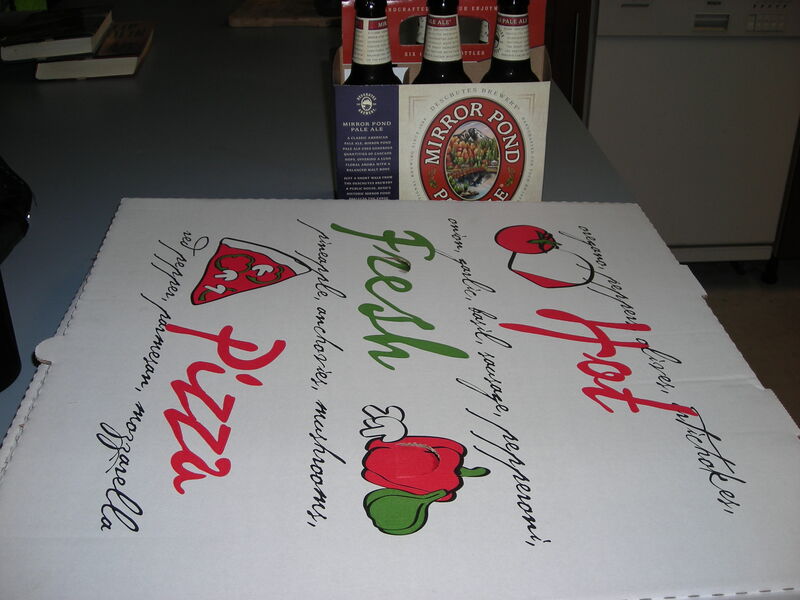 Bad pizza is the worse……If I am going to consume that kind of calories, I want it to be good and memorable. I almost always send back food if its bad, but I can’t remember the last time that was! And you are so right – – pizza is a hard thing to screw up! Oh what a shame – such a disappointment to have a treat and it turn out bad – and from the picture it looked like it might be tasty! As you might have gathered from my entries last week, the chicken place that gave me food poisoning is my most recent bad food experience 😉 I wrote them quite a stern letter, mostly in the hope that they will check they’ve cooked the food properly and not make other people sick. Eeew! Food poisoning sounds bad. I’d definitely notify the restaurant!! I hate when I get something that isn’t exactly what I’ve ordered. I haven’t had a bad meal experience with food in a while, luckily. The last time I ate something I didn’t like was at a pasta dinner I went to last Friday. It was a catered dinner and very yucky! Options aren’t so hot as a vegetarian, usually its loaded with cheese and I’m not a super duper cheese lover. I didn’t complain or send it back I just didn’t really eat it. You should call the manger of the restaurant and let him know you were disappointed in the pie. Perhaps a new person was making the pie or the some other reason for your bad experience. Either way the manager should know. While they will not refund your money they should offer a discount on your next pie… plus you might make it a better experience for me when I get a pie.